Do you have problems with balance or posture? How do your teeth come together when you close your mouth? There is a connection between the two. In two recent studies, it has been demonstrated that malocclusion (teeth that do not come together perfectly) typically parallels balance and posture challenges. The evidence suggests that correcting your #occlusion will contribute to improvement in your posture and balance. Why is this important? It seems particularly important to three groups of people. First, it is important to persons with physical disabilities. 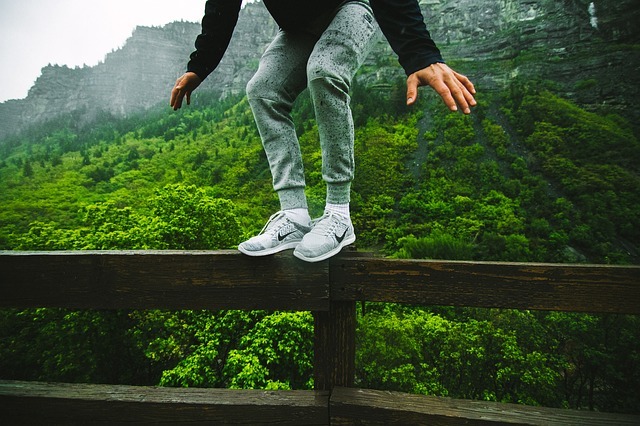 Improvement of balance could significantly improve mobility, reduce fear, and improve state of mind. Second, it is important to older adults. Many older people develop posture and balance issues as they age, particularly in connection with other conditions. The number one cause of emergency room visits for older adults is falls. If something as simple as correcting malocclusion would improve stability for these people, their general health and their enjoyment of life would be enhanced. Third, it is important for athletes. Correcting a malocclusion to improve balance and posture could significantly enhance athletic performance. As an alternative to traditional braces, clear tooth aligners have become very popular in recent years. They might be the right choice for you or for your child. These plastic aligners (or series of aligners) accomplish the same goal of straightening and properly aligning teeth as traditional braces, but with several advantages. Unfortunately, these are not the best choice for everyone. Appearance. Clear aligners are almost invisible, making them a good choice for those who are concerned about the appearance of their teeth during the alignment process. Removable. 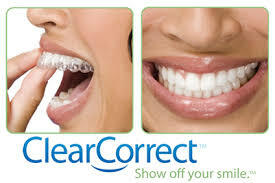 Clear aligners can be removed as you choose. Eat what you want. Some foods should not be eaten when wearing conventional braces because they can become caught in the hardware and cause pain or damage. Clear aligners allow you to eat whatever you want. Fast results. Clear aligners are one of the fastest and easiest ways to straighten and align teeth. Minimal pain. Clear aligners correct tooth alignment continuously and gradually as opposed to the periodic adjustment of braces, which can be painful or irritating. Less frequent dental appointments. Clear aligners require a visit to the dentist only once every 6 to 8 weeks. Many people find this preferable due to busy schedules. Better oral health. Unlike the tendency of traditional braces to trap food particles that are difficult to remove, tooth aligners are simply removed while you brush, easily cleaned, and replaced. Most people have questions about clear aligners. We believe you should have every opportunity to ask all of your questions and receive thoughtful and helpful answers before you decide to use them. The following are responses to the most commonly asked questions. What should I expect during treatment? You may experience some occasional minor pain for a day or two at a time because the new aligners are moving your teeth. People might ask why your teeth look different. You can expect your “bite” to feel different during the process. You may have a lisp during the early days of using aligners. How comfortable are the aligners?ÂÂ Although you may experience some irritation or sores in your mouth while using clear aligners, they tend to become more comfortable as you wear them. The devices may cause some increase in salivation or in dry mouth. How are they cleaned? Proper oral hygiene is important when using aligners to prevent damage to your teeth or gums. The devices can be cleaned with a toothbrush and cool water. What are the bumps on some aligners? The bumps are called “engagers.” These may be attached to facilitate difficult tooth adjustments. They are made of a composite material that matches the color of your teeth. How long does the process take? The duration of the process varies depending upon the amount of realignment needed, your health, and the rate of bone and tissue adjustment. Your dentist will review this with you before beginning the process. Do I wear the aligners all day? We recommend that you wear the aligners for 22 hours every day. They should be removed for eating and cleaning. Failure to do so will slow down the entire process. How often are the aligners changed? Typically, you will move from one aligner to the next every 1 to 3 weeks. However, frequency depends upon the amount of change needed and your willingness to diligently follow instructions. What happens when the whole process is finished? You will be given a retainer and instructed how long to wear it to maintain the realignment. What material is used to make the clear aligners? Aligners are made of a polyurethane resin that has been extensively tested. The resin contains no BPA or phthalates. Can I use clear aligners when pregnant? The materials contain nothing harmful, but you should discuss your health with your dentist. Are aligners covered by my insurance? You will need to ask your insurance company about your coverage. Some policies cover clear aligners and others do not. Most people are familiar with the brand name Invisalign. When their patent expired, others began to make similar products. At that time, we switched to Clear Correct. It is less expensive and equally effective. The news has been filled with images of the recent flooding from hurricanes and the news about the impact of the storms on the clean water supply in some places. It also made me think about Flint Michigan, and their water crisis. All of it made me think about the importance of a clean water supply. Did you ever think about the effect on your health when there is a lack of clean water? The oral health of many people suffers because they try to replace some of the water they usually consume with sugary soda and sport drinks. Drinking contaminated water is harmful to your general health and to oral health. The same bacteria and other elements (like lead) that are harmful or dangerous to your general health are also harmful to your teeth and gums. This makes the water unsafe to drink and unsafe to use for brushing teeth. Also, loss of treated water typically means loss of fluoridation. A clean water crisis could limit the procedures some dentists could perform? Many of our tools and instruments use a large amount of water (drills, scalers, etc.). 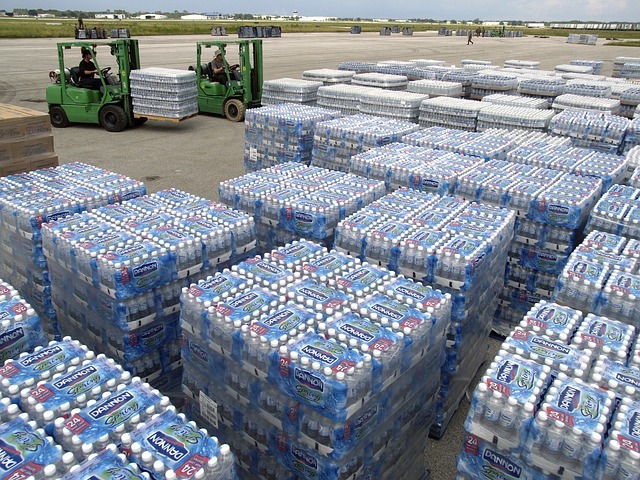 Many dentists today use a "closed system" source of water, meaning that we use distilled bottled water. These systems enable us to perform a full range of procedures safely. Many dentists use "city water" for non-surgical purposes and distilled water for surgery. In a clean water crisis, your continuing oral health may depend upon the preventative care you give your teeth every day. Keep your teeth and gums healthy to protect oral health and general health. What can you do? Brush and floss twice daily as recommended. Use a fluoride enhanced toothpaste. When your dentist offers fluoride varnish, rinse or supplements, accept them. If you do find yourself in a clear water crisis, throw away the tooth brush before the contamination was discovered and replace it with a new one. Think about the large metal syringes dentists typically use to inject numbing anesthesia to make it easier for patients to endure the pain of some procedures. That huge needle is intimidating, especially for children. At Complete Dental Care in Salem, Virginia, we never want any patient to be afraid or in pain. The Anesthesia Wand has a wonderful alternative for us. The wand is a small tube that resembles a straight-shaft pen. On one end of the tube is a very small syringe. On the other end, the tube attaches to a device like a computer that is controlled with a foot pedal. 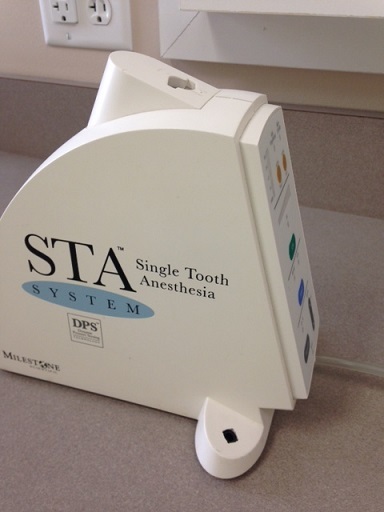 The device notifies the dentist when the anesthesia is dripping into the syringe. One advantage of using the anesthesia wand is that the anesthesia is delivered very, very slowly. This is ideal for children because the slow flow of the anesthetic eliminates pain and the burning that accompanies traditional syringe delivery. A second advantage of the wand is its flexibility. It can be used to numb a single tooth or a large section of the gum. And, because it delivers a continuous drip of anesthetic, it is not necessary to pause the procedure to inject more anesthetic. Use of the Anesthesia Wand is covered by insurance, just like the traditional metal syringe. The only additional cost is the purchase of the tips that are used on the wand. This cost is typically absorbed by the dentist. Although the anesthesia wand was invented about 20 years ago, many dentists have not adopted it. The metal syringe remains appropriate for many of our patients. For children and adults who have experienced difficulties with the metal syringe, we find that it is often the best alternative to reduce fear, relax our patients, and prevent pain. Eating disorders are very damaging and dangerous to your health. Many people do not understand the damage that can be done to your teeth and jaw due to eating disorders. Some of the damage cannot be repaired. 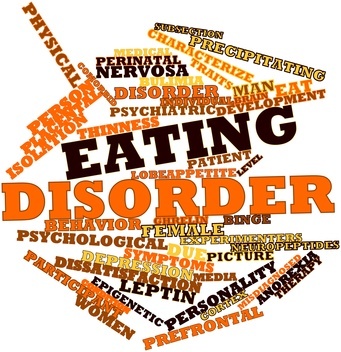 The National Eating Disorders Association reports that more than 10 million Americans suffer with an eating disorder. Anorexia, due to the lack of proper nutrition, can cause or contribute to osteoporosis. This can cause the jaw and surrounding bones to become weak. This, in turn, often leads to loss of teeth. Typically, these teeth need to be removed. Due to the weakening and loss of bone, dental implants may not be an option in some cases. Implants must be anchored in the bone. Bulimia and Purging create a different set of problems for oral health. Vomiting brings stomach acids into the mouth. The acids belong in the stomach, where they break down food so it can be digested. When these destructive acids enter the mouth, they cause corrosive damage to the enamel that covers the teeth. Erosion of tooth enamel often results in darkening of the teeth, changes in the shape and the length of the teeth, sensitivity, and loss of the tooth or teeth. In particular the edges of the teeth will become quite thin and chip or break. It is important to remember that tooth enamel cannot be replaced. Unless aggressive dental treatment is sought to provide other means of protecting the teeth, those affected teeth will be lost. The steps that can be taken in order to mitigate the damage from stomach acid are somewhat counterintuitive. Most of us assume that stomach acid should be removed from the mouth with immediate brushing. This is not the best response; brushing will add abrasion of the enamel to the damage from the stomach acid. Instead, rinse your mouth thoroughly with baking soda and water. This will help to mitigate the effects of the stomach acid. Then continue to brush twice daily. 1.Â Â Â Â Â Â Brush and floss carefully and thoroughly, as recommended by your dentist. 2.Â Â Â Â Â Â See your dentist regularly.